E.ON SE (marketed with an interpunct and lowercase letters as e·on) is a European holding company based in Essen, North Rhine-Westphalia, Germany. It runs one of the world's largest investor-owned electric utility service providers. 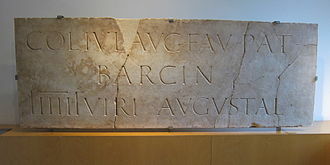 The name comes from the Greek word aeon which means age. The company is a component of the Euro Stoxx 50 stock market index, DAX stock index and a member of the Dow Jones Global Titans 50 index. It operates in over 30 countries and serves over 33 million customers. Its chief executive officer (Vorstandsvorsitzender) is Dr. Johannes Teyssen. E.ON was created in 2000 through the merger of VEBA and VIAG. In 2016, it separated its conventional power generation and energy trading operations into a new company, Uniper, while retaining retail, distribution and nuclear operations. E.ON sold its stake in Uniper through a stock market listing and sold the remaining stock to the Finnish utility Fortum. In March 2018, it was announced that E.ON will acquire renewable energy utility Innogy through a complex €43 billion asset swap deal between E.ON, Innogy and RWE. E.ON came into existence in 2000 through the merger of energy companies VEBA and VIAG (Vereinigte Industrieunternehmungen AG; United Industrial Enterprises Corporation). 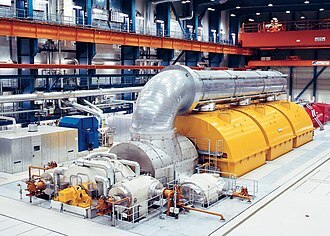 In the United Kingdom, Powergen was acquired by E.ON in January 2002. In 2003 E.ON entered the gas market through the acquisition of Ruhrgas (later: E.ON Ruhrgas). E.ON Ruhrgas was represented in more than 20 countries in Europe. E.ON also acquired Sydkraft in Sweden and OGK-4 (now: Unipro) in Russia. Sydkraft, Powergen, and OGK-4 were rebranded to E.ON Sverige, E.ON UK, and E.ON Russia respectively. In the United States, E.ON inherited Louisville, Kentucky-based Louisville Gas & Electric Energy, via the acquisition of Powergen, and operated it as E.ON US, until 2010, when E.ON US was sold to Pennsylvania-based PPL for $7.625 billion. The sale was closed on 1 November 2010, with E-ON US becoming LG&E and KU Energy. E.ON attempted to acquire Endesa in 2006, however this acquisition was overtaken by a joint bid from Italian utility Enel in conjunction with Spanish company Acciona. E.ON acquired about €10 billion of assets that the enlarged Enel was required to divest under EU competition rulings. 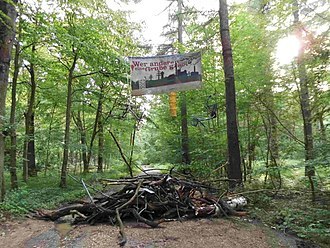 In July 2009, the European Commission fined GDF Suez and E.ON €553 million each over arrangements on the MEGAL pipeline. It was the second biggest fines imposed by the European Commission and first one on the energy sector. In 1975, Ruhrgas and Gaz de France concluded a deal according to which they agreed not to sell gas in each other's home market. The deal was abandoned in 2005. In 2009, E.ON and RWE established an equally owned joint venture Horizon Nuclear Power to develop around 6,000 MWe of new nuclear capacity in the United Kingdom by 2025 at the Wylfa and Oldbury sites. However, in March 2012 E.ON and RWE announced they were pulling out of the project due to difficult financial conditions. In August 2011, the company announced a possible loss of 10,000 of its 85,600 employees due to the German decision to close all the country's nuclear power stations by 2022, instead of by 2036 as the Bundestag had decided on 28 October 2010. In May 2014 the UK energy sector regular Ofgem ordered the company to pay 330,000 of its customers a total sum of £12 million due to poor sales practices the company engaged in between June 2010 and December 2013. 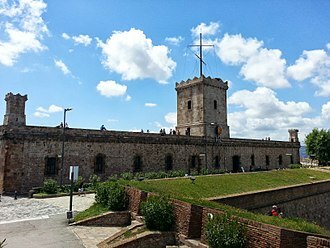 At the time it was the largest penalty levied against a UK energy supplier. In November 2014, E.ON announced to abstain from fossil energy in the future. It transferred its fossil energy businesses into a new company Uniper, which started operating on 1 January 2016. E.ON sold a 53% stake in the business through a listing on the Frankfurt Stock Exchange in September 2016. In 2017, it agreed to sell its remaining stake in Uniper to the Finnish power company Fortum. The deal was finalized in June 2018. In March 2018, it was announced that E.ON will acquire renewable energy utility Innogy from its controlling shareholder RWE. The deal will result in E.ON becoming a pure retail and distribution company. This is achieved through a complex €43 billion asset swap deal between E.ON, Innogy and RWE where E.ON takes over Innogy's retail and distribution business whereas RWE takes over both Innogy's renewable energy generation portfolio as well as E.ON's remaining energy generation assets. In addition, RWE will take a 16.7% stake in E.ON and E.ON will receive a cash payment of €1.5 billion. In July 2018, E.ON announced that 500 jobs would be lost in the United Kingdom, blaming the energy price cap due to be implemented by Ofgem. E.ON is one of the major public utility companies in Europe and the world's largest investor-owned energy service provider. As result of mergers, E.ON inherited the subsidiaries of VEBA, VIAG and Ruhrgas in Central and Eastern Europe. E.ON is present in most of Scandinavia. E.ON subsidiary PreussenElektra GmbH operates the Brokdorf, Grohnde, and Isar 2 nuclear power plants. It is decommissioning Isar 1 and Unterweser nuclear power plants. It also holds minority stakes in the RWE-operated Gundremmingen and Emsland nuclear power plants. According to the assets swap deal between E.ON and RWE, RWE will acquire these minority stakes. Eon is a major wind energy player across multiple countries. It has assets in the UK, Sweden, Germany, Poland and the USA. 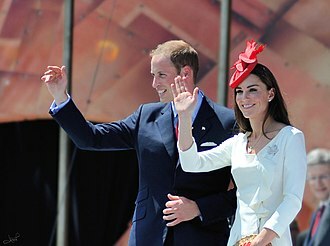 Notably E.ON UK, owns 30% of the London Array project, which is a 630 MW wind generation farm in the Thames estuary. Another notable wind farm is Roscoe, which was the largest in the world at the time of completion, and for a number of years afterwards. The website (accessed 2019) of Enerjisa which owns Tufanbeyli, a coal fired power station in Turkey, says Eon is a shareholder and includes the Eon logo. E.ON UK sponsored the FA Cup for four years, from 2006 to the end of the 2009/10 football season. The four-year deal which included the FA Women's Cup and the FA Youth Cup was worth around £40 million. E.ON is the official energy partner of The Football League and sponsors a collection of home programmes on Channel Five in the UK. E.ON has previously sponsored ITV Weather, the Ipswich Town football club and the Rugby Cup. Between 2000 and 2006, E.ON was the main kit sponsor of German Bundesliga club Borussia Dortmund. E.ON Ruhrgas is the main sponsor of the IBU biathlon[when?] World Cup and is the main sponsor of the Ski jumping World Cup[when?]. E.ON Sverige sponsored the home arena of Swedish ice hockey team Timrå IK from 2003 to 2015. E.ON was one of the main sponsors of 2007–2008 Dutch Eredivisie Champions PSV Eindhoven. Between 1998 and 2014, E.ON and its predecessor company VEBA spent more than 30 million euros ($41 million) supporting the Museum Kunstpalast, located next to the corporate headquarters in Düsseldorf. In 2014, E.ON decided to sell Jackson Pollock's Number 5 (Elegant Lady) (1951), a painting the company has owned since 1980, at Christie's auction to keep funding the Museum Kunstpalast. Pollock had swapped it in 1954 with New York gallery owner Martha Jackson for the convertible in which he had a fatal accident two years later. In 1980, Ulrich Hartmann, head of VEBA's corporate board office, pushed for the purchase from art dealer Alfred Schmela. The acquisition was considered the foundation for E.ON's art collection of more than 1,800 works. E.ON is also sponsor of Brain Bar, a Budapest-based, annually held festival on the future. ^ "Structure". Archived from the original on 22 November 2012. Retrieved 20 November 2012. ^ "Questions and Answers about E.ON Group – What does E.ON mean?". Archived from the original on 4 January 2012. 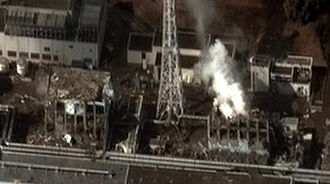 Retrieved 22 December 2011. ^ "#NAME# Liste - #NAME# Werte - boerse-frankfurt.de". Boerse-frankfurt.de. Archived from the original on 19 November 2015. Retrieved 3 February 2016. ^ "Who we are. An overview". Archived from the original on 25 December 2010. Retrieved 18 January 2011. ^ "Energieversorger, Erneuerbare Energien, Strom, Gas - E.ON SE". Eon.com. Archived from the original on 6 December 2008. Retrieved 3 February 2016. ^ "E.ON ditches nuclear spin-off plan". DW. 10 September 2016. Retrieved 16 November 2016. ^ a b "Uniper shares get off to volatile market debut". Deutche Welle. 12 September 2016. Retrieved 16 November 2016. ^ a b c Massoudi, Arash; Buck, Tobias (11 March 2018). "Eon to acquire Innogy in €43bn deal with RWE". Financial Times. Retrieved 11 March 2018. (Subscription required (help)). ^ a b Henning, Eyk; Kirchfeld, Aaron; Nair, Dinesh; Baigorri, Manuel (11 March 2018). "EON to Acquire RWE's Innogy, Transforming German Energy Industry". Bloomberg. Retrieved 16 September 2018. ^ "WORLD BUSINESS BRIEFING - EUROPE - E.ON TO BUY POWERGEN - NYTimes.com". Query.nytimes.com. 10 April 2001. Retrieved 3 February 2016. ^ "PPL Completes Acquisition of Two Kentucky Utility Companies". Pplwediaroom.com. Retrieved 3 February 2016. ^ Mark Milner (2007-04-03). "Eon drops out of Endesa fight". The Guardian. ^ a b c Nikki Tait (8 July 2009). "Brussels fines GDF and Eon €1.1bn". Financial Times. Retrieved 8 July 2009. ^ Adam Mitchell (8 July 2009). "GDF Suez: To Appeal EU Antitrust Decision On Pipeline". The Wall Street Journal. Archived from the original on 13 August 2009. Retrieved 8 July 2009. ^ Ian Traynor (8 July 2009). 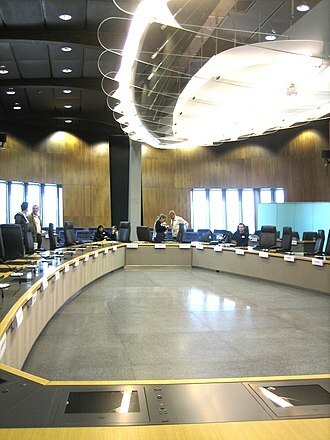 "Brussels levies €1.1bn fine on gas pact pair". The Guardian. Retrieved 8 July 2009. ^ "RWE, EOn pull plug on UK nuclear plans". World Nuclear News. 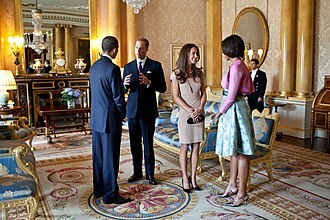 29 March 2012. Retrieved 7 April 2012. ^ "Eon may detail job cuts". Financial Times. ^ Bundestag: „Laufzeitverlängerung von Atomkraftwerken zugestimmt“. ^ "E.On to reimburse 12mn pounds to customers for mis-selling power". The UK News. Retrieved 17 May 2014. ^ Berlin, Markus Balser. "Energiekonzern: Eon gibt Atomenergie, Kohle und Gas auf". sueddeutsche.de (in German). ISSN 0174-4917. Retrieved 28 December 2016. ^ "Eon zieht nach Essen - Neue Gesellschaft heißt Uniper". Die Welt. 27 April 2015. Retrieved 28 April 2015. ^ mm-newsdesk (27 April 2015). "Eons Kernspaltung - mit "Uniper" soll alles besser werden". Retrieved 28 April 2015. ^ "E.ON to cut 500 UK jobs as it prepares for energy price cap". 1 August 2018. Retrieved 5 December 2018. ^ "E.ON Bilanz, Gewinn und Umsatz | E.ON Geschäftsbericht | ENAG99". wallstreet-online.de. Retrieved 2018-11-05. ^ "Unterweser gets decommissioning approval". World Nuclear News. 7 February 2018. Retrieved 24 March 2018. ^ "E.ON Climate & Renewables GmbH - E.ON SE". Eon.com. 15 December 2011. Retrieved 3 February 2016. ^ "Our Shareholders". Enerjisa. Retrieved 12 January 2019. ^ "E.ON Business Services GmbH - E.ON SE". Eon.com. 1 January 2015. Archived from the original on 13 March 2012. Retrieved 3 February 2016. ^ "BBC NEWS - Business - E.On not to renew FA Cup backing". News.bbc.co.uk. Retrieved 3 February 2016. ^ a b Andresen, Tino (21 March 2014). "Pollock's 'Elegant Lady' for Sale as EON Raids Art Hoard". Bloomberg News. Archived from the original on 7 April 2014. Retrieved 22 December 2018. ^ Kelly Crow (20 March 2014), Pollock With a Dark Side Archived 11 January 2017 at the Wayback Machine Wall Street Journal. PPL Corporation, formerly known as PP&L or Pennsylvania Power and Light, is an energy company headquartered in Allentown, Pennsylvania, USA. It provides natural gas service to 321,000 customers in Kentucky. 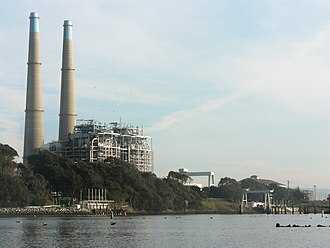 The majority of PPLs power plants burn coal, oil, or natural gas, PPL owns peaking plants, which require few operators and have a high profit margin due to their ability to rapidly come online when the price of electricity spikes. 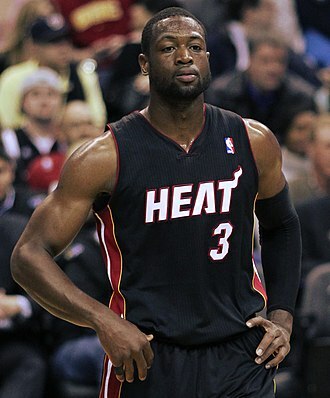 The company is traded on the New York Stock Exchange under ticker symbol NYSE. PPL was founded in 1920 out of a merger of eight smaller Pennsylvania utilities and it gradually extended its service territory to a crescent-shaped region of central and northeastern Pennsylvania stretching from Lancaster, through the Lehigh Valley into Scranton and Wilkes-Barre. The company limited its activities to Pennsylvania until deregulation of electrical utilities in the 1990s encouraged PPL to purchase assets in other states, the largest of these transactions was PPLs 1998 purchase of 13 plants from Montana Power. This added over 2,500 MW of capacity and was the largest expansion in PPLs history, in 2014, those hydroelectric facilities were sold to NorthWestern. In May 2002, PPL announced that Robert G. Byram, bryce L. Shriver, who had served as vice president-Nuclear Site Operations at PPLs Susquehanna plant since 2000, became senior vice president and chief nuclear officer. PPLs 2008 revenue was $8.2 billion, with a net profit of $930 million, after acquiring Central Networks and LG&E, PPLs 2011 profit rose to $1.495 billion, on $12.7 billion in revenue, ranking it number 212 on Fortunes 2012 list. In March 2011, PPL acquired from E. ON the British distribution company Central Networks for £3.5 billion, on June 6,2014, PPL announced it will be divesting its electrical generation facilities to a newly formed company, Talen Energy. On June 1,2015, the Talen spinoff was completed, on July 1,2016, PPL Solutions, LLC was sold to Hansen Technologies Limited. PPL Solutions provides billing, business process outsourcing, call center, the PPL Building is the tallest building in Allentown. A societas Europaea is a public company registered in accordance with the corporate law of the European Union, introduced in 2004 with the Council Regulation on the Statute for a European Company. Such a company may more easily transfer to, or merge with companies in, other member states. ON, Fresenius, LVMH Moët Hennessy Louis Vuitton, SAP, Schneider Electric, national law continues to supplement the basic rules in the Regulation on formation and mergers. The European Company Regulation is complemented by an Employee Involvement Directive that sets rules for participation by employees on the board of directors. There is a statute allowing European Cooperative Societies, formation of a joint subsidiary is available under the same circumstances to any legal entities governed by public or private law. The registered office of the SE designated in the statutes must be the place where it has its central administration, the order of precedence of the laws applicable to the SE is clarified. The registration and completion of the liquidation of an SE must be disclosed for information purposes in the Official Journal of the European Communities, every SE must be registered in the State where it has its registered office, in a register designated by the law of that State. The Statutes of the SE must provide as governing bodies the general meeting of shareholders and either a management board, under the two-tier system the SE is managed by a management board. The member or members of the management board have the power to represent the company in dealings with third parties and they are appointed and removed by the supervisory board. No person may be a member of both the management board and the board of the same company at the same time. But the supervisory board may appoint one of its members to exercise the functions of a member of the management board in the event of absence through holidays, during such a period the function of the person concerned as a member of the supervisory board shall be suspended. Under the single-tier system, the SE is managed by an administrative board, the member or members of the administrative board have the power to represent the company in dealings with third parties and in legal proceedings. Under the single-tier system the board may delegate the power of management to one or more of its members. 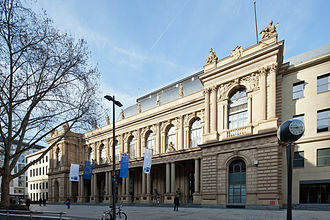 The Frankfurt Stock Exchange is the worlds 10th largest stock exchange by market capitalization. Located in Frankfurt, the Frankfurt Stock Exchange is owned and operated by Deutsche Börse AG and it is located in the district of Innenstadt and within the central business district known as Bankenviertel. The trading indices are DAX, DAXplus, CDAX, DivDAX, LDAX, MDAX, SDAX, TecDAX, VDAX, through its Deutsche Börse Cash Market business section, Deutsche Börse AG now operates two trading venues at the Frankfurt Stock Exchange. Xetra is the market for exchange trading in German equities. In 2015,90 per cent of all trading in shares at all German exchanges was transacted through the Xetra, with regard to DAX listings, Xetra has 60 per cent market share throughout Europe. Trading times on trading days are from 9.00 a. m. to 5.30 p. m, the prices on Xetra serve as the basis for calculating the DAX, the best-known German share index. Over 200 trading participants from 16 European countries, plus Hong Kong, Börse Frankfurt is the trading venue for mainly private investors with more than one million securities of German and international issuers. So named Specialists on the trading floor attend to the trading of the securities, trading at the Frankfurt Stock Exchange is governed by clear rules, which apply equally for all trading participants. With a view to improving the continuity of prices and to avoid mistrades, several mechanisms are in place for the trading venues Xetra. These include volatility interruption, market order interruption, and liquidity interruption measures, the origins of the Frankfurt Stock Exchange go back to medieval trade fairs in the 11th century. By the 16th century Frankfurt developed into a wealthy and busy city with a based on trade. In 1585 a bourse was established to set up fixed currency exchange rates, during the following centuries Frankfurt developed into one of the worlds first stock exchanges - next to London and Paris. Bankers like Mayer Amschel Rothschild and Max Warburg had substantial influence on Frankfurts financial trade, in 1879 Frankfurt Stock Exchange moved into its new building at Börsenplatz. Electric power distribution is the final stage in the delivery of electric power, it carries electricity from the transmission system to individual consumers. 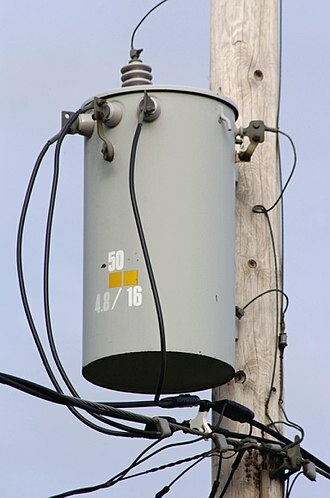 Distribution substations connect to the system and lower the transmission voltage to medium voltage ranging between 2 kV and 35 kV with the use of transformers. Primary distribution lines carry this medium voltage power to distribution transformers located near the customers premises, Distribution transformers again lower the voltage to the utilization voltage of household appliances and typically feed several customers through secondary distribution lines at this voltage. Commercial and residential customers are connected to the distribution lines through service drops. Customers demanding a larger amount of power may be connected directly to the primary distribution level or the subtransmission level. Electric power distribution only became necessary in the 1880s when electricity started being generated at power stations, before that electricity was usually generated where it was used. Both were supplanting gas lighting systems, with arc lighting taking over large area/street lighting, the Edison DC system needed thick copper conductor cables, and the generating plants needed to be within about 1.5 miles of the farthest customer to avoid excessively large and expensive conductors. With much cheaper transmission costs and the economies of scale of having large generating plants supply whole cities and regions. Edisons propaganda campaign was short lived with his company switching over to AC in 1892, in the first half of the 20th century, the electric power industry was vertically integrated, meaning that one company did generation, distribution and billing. Starting in the 1970s and 1980s, nations began the process of deregulation and privatisation, the distribution system would remain regulated, but generation and sometimes transmission systems were transformed into competitive markets. Electric power begins at a station, where the potential difference can be as high as 13,800 volts. Fortum Oyj is a Finnish energy company focusing on the Nordic and Baltic countries and Russia. Fortum operates power plants, including plants, and generates and sells electricity, heat. In addition, it has stakes in gas companies Gasum in Finland, the company provides other energy related services and products. Fortum is listed on the NASDAQ OMX Helsinki stock exchange and shares the number one position in the Carbon Disclosure Projects Nordic climate index, the predecessor of Fortum was Imatran Voima, which was founded in 1932 to operate the Imatrankoski hydroelectric power plant in Imatra. Fortum Corporation was founded in 1998 and it was created from the merging of Imatran Voima and Neste Oy, the Finnish national oil company. Most of Nestes assets were divested into a separate stock-listed company Neste Oil in 2005, in 2007, Fortum acquired 25. 66% stake in TGK-1, operating in northwest Russia. In 2008, Fortum privatized the power and heat generation company TGK-10, operating in central, in 2011, Fortum sold its 25% stake in the Finnish transmission system operator Fingrid. In December 2013 Fortum announced the sale of its network in Finland to Suomi Power Networks. Suomi Power Networks is owned by First State Investments, Borealis Infrastructure, since 2015 the electrical distribution network in Sweden is owned by Ellevio. Hydro power has always been an activity to Fortum, and is the companys most significant renewable electricity production form. 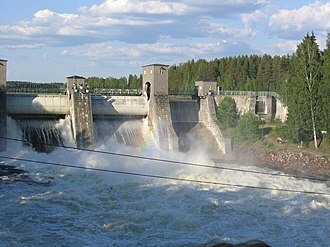 Fortum currently owns or co-owns 159 hydro power plants in Finland and Sweden, hydro power amounts to 48% of the power produced by Fortum in Nordic countries, and 1/3 of the total power produced by Fortum each year. The power plants with the largest capacity are located on the Dalälven, Indalsälven and Ljusnan rivers in central Sweden and on the Oulujoki, Fortum meets the ISO14001 norm for preservation of the environment, and the OHSAS18001 norm for health and safety. Fortum has been producing nuclear power since 1977, the company owns the nuclear plant in Loviisa, which covers around 10% of the countrys energy production. RWE AG, until 1990, Rheinisch-Westfälisches Elektrizitätswerk AG, is a German electric utilities company based in Essen, North Rhine-Westphalia. Through its various subsidiaries, the company supplies electricity and gas to more than 20 million electricity customers and 10 million gas customers. RWE is the second largest electricity producer in Germany, and has increased renewable energy production in recent years, RWE previously owned American Water, the United States largest investor-owned water utility, but this was divested in 2008. It owned RWE Dea, which produced some of the oil, the restructuring was caused by an effort to reduce the groups exposure to nuclear decommissioning costs, required due to a German government policy of closing all nuclear power stations by 2022. The company was founded in Essen in 1898 as Rheinisch-Westfälisches Elektrizitätswerk Aktiengesellschaft and its first power station started operating in Essen in 1900. In 1900 the local municipalities together owned the majority of the company, in 2001, RWE took over the British company Thames Water. RWE agreed to acquire the British electricity and gas utility company Innogy for £3 billion in March 2002, in 2003 Dr Dietmar Kuhnt was succeeded by Harry Roels as CEO of the company and in 2007 Dr. Juergen Grossmann took over. In 2006, RWE sold Thames Water to Kemble Water Limited, on 2 April 2011, about 3,000 people protested outside RWEs headquarters in Essen, as part of a larger protest against nuclear power. In July 2012, Peter Terium took over as CEO, on 14 August 2012 RWE AG announced that the company would cut 2,400 more jobs to reduce costs. Previously the company had announced to eliminate 5,000 jobs and 3,000 jobs through divestments as anticipated of closing all nuclear reactors by 2022. In August 2013 RWE completed the disposal of NET4GAS, the Czech gas transmission network operator, for €1.6 billion to a consortium consisting of Allianz and Borealis. In March 2015, RWE closed the sale of its oil and gas unit, RWE Dea. The $5.6 billion deal, announced in 2014, required approval from 14 countries where RWE Dea operates in Europe, the Middle East and Africa. 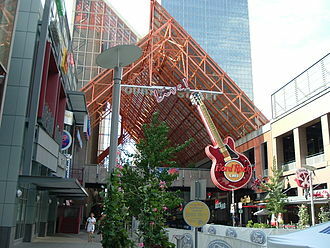 Louisville is the largest city in the Commonwealth of Kentucky and the 30th-most populous city in the United States. It is one of two cities in Kentucky designated as first-class, the other being the states second-largest city of Lexington, Louisville is the historical seat and, since 2003, the nominal seat of Jefferson County. 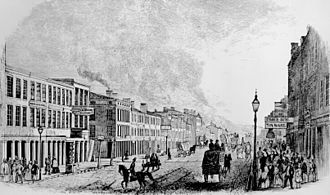 Louisville was founded in 1778 by George Rogers Clark and is named after King Louis XVI of France, making Louisville one of the oldest cities west of the Appalachian Mountains. 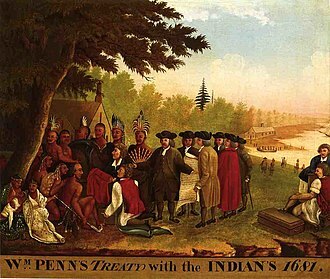 Sited beside the Falls of the Ohio, the major obstruction to river traffic between the upper Ohio River and the Gulf of Mexico, the settlement first grew as a portage site. It was the city of the Louisville and Nashville Railroad. Its main airport is the site of United Parcel Services worldwide air hub, since 2003, Louisvilles borders have been the same as those of Jefferson County because of a city-county merger. The official name of this consolidated city-county government is the Louisville/Jefferson County Metro Government, the citys total consolidated population as of the 2014 census estimate was 760,026. However, the total of 612,780 excludes other incorporated places and semiautonomous towns within the county and is the population listed in most sources. As of 2014, the MSA had a population of 1,269,702, the history of Louisville spans hundreds of years, and has been influenced by the areas geography and location. The rapids at the Falls of the Ohio created a barrier to river travel, the first European settlement in the vicinity of modern-day Louisville was on Corn Island in 1778 by Col. George Rogers Clark, credited as the founder of Louisville. 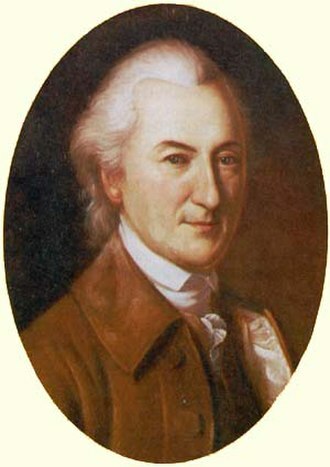 Several landmarks in the community are named after him, two years later, in 1780, the Virginia General Assembly approved the town charter of Louisville. 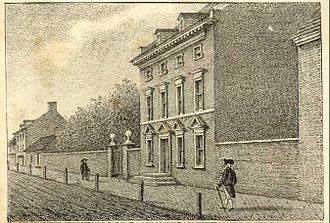 The city was named in honor of King Louis XVI of France, early residents lived in forts to protect themselves from Indian raids, but moved out by the late 1780s. In 1803, explorers Meriwether Lewis and William Clark organized their expedition across America in the town of Clarksville, Indiana at the present-day Falls of the Ohio opposite Louisville, Kentucky. Hydrocarbon exploration is the search by petroleum geologists and geophysicists for hydrocarbon deposits beneath the Earths surface, such as oil and natural gas. Oil and gas exploration are grouped under the science of petroleum geology, visible surface features such as oil seeps, natural gas seeps, pockmarks provide basic evidence of hydrocarbon generation. However, most exploration depends on sophisticated technology to detect. Oil exploration is an expensive, high-risk operation and remote area exploration is generally only undertaken by very large corporations or national governments. Typical shallow shelf oil wells cost US$10 –30 million, while deep water wells can cost up to US$100 million plus, hundreds of smaller companies search for onshore hydrocarbon deposits worldwide, with some wells costing as little as US$100,000. A prospect is a trap which geologists believe may contain hydrocarbons. A significant amount of geological and seismic investigation must first be completed to redefine the potential hydrocarbon drill location from a lead to a prospect. Four geological factors have to be present for a prospect to work, a source rock - When organic-rich rock such as oil shale or coal is subjected to high pressure and temperature over an extended period of time, hydrocarbons form. Most hydrocarbons migrate to the surface as oil seeps, but some will get trapped, reservoir - The hydrocarbons are contained in a reservoir rock. This is commonly a porous sandstone or limestone, the oil collects in the pores within the rock although open fractures within non-porous rocks may store hydrocarbons. The reservoir must be permeable so that the hydrocarbons will flow to surface during production, trap - The hydrocarbons are buoyant and have to be trapped within a structural or stratigraphic trap. Exploration risk is a concept and is usually defined by assigning confidence to the presence of the imperative geological factors. This confidence is based on data models and is usually mapped on Common Risk Segment Maps. High confidence in the presence of imperative geological factors is usually coloured green, these maps are called Traffic Light Maps, while the full procedure is often referred to as Play Fairway Analysis. Energy development is a field of endeavor focused on making available sufficient primary energy sources and secondary energy forms to meet the needs of society. 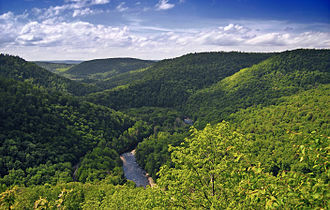 These endeavors encompass those which provide for the production of conventional and renewable sources of energy, Energy conservation and efficiency measures reduce the effect of energy development, and can have benefits to society with changes in economic cost and with changes in the environmental issues. Contemporary industrial societies use primary and secondary sources for transportation. Also, large populations have various generation and delivery services for energy distribution. This energy is used by people who can afford the cost to live under various climatic conditions through the use of heating, and/or air conditioning. Level of use of energy sources differs across societies, along with the convenience, levels of traffic congestion, pollution sources. Thousands of people in society are employed in the energy industry, the conventional industry comprises the petroleum industry the gas industry, the electrical power industry the coal industry, and the nuclear power industry. New energy industries include the energy industry, comprising alternative and sustainable manufacture, distribution. Illustrative of this can be the emanations from the sun, which with its nuclear fusion is the most important energy source for the Earth and which provides its energy in the form of radiation. The natural elements of the world exist in forms that can be converted into usable energy and are resources from which society can obtain energy to produce heat, light. According to their nature, the plants can be classified into, They are found in nature, water, wood, oil. Secondary, Are those obtained from primary sources, electricity. The principle stated by Antoine Lavoisier on the conservation of matter applies to energy development, thus any energy production is actually a recovery transformation of the forms of energy whose origin is that of the universe. This material itself constitutes a form of energy, called mass energy, fossil fuel sources burn coal or hydrocarbon fuels, which are the remains of the decomposition of plants and animals. The DAX is a blue chip stock market index consisting of the 30 major German companies trading on the Frankfurt Stock Exchange. Prices are taken from the Xetra trading venue, according to Deutsche Börse, the operator of Xetra, DAX measures the performance of the Prime Standard’s 30 largest German companies in terms of order book volume and market capitalization. It is the equivalent of the FT30 and the Dow Jones Industrial Average, the L-DAX Index is an indicator of the German benchmark DAX indexs performance after the Xetra trading venue closes based on the floor trading at the Börse Frankfurt trading venue. The L-DAX Index basis is the trade at the Frankfurt stock exchange. The L/E-DAX index is calculated from 17,45 to 20,00 CET and from 08,00 to 09,00 CET. The Eurex, a European electronic futures and options exchange based in Zürich, Switzerland with a subsidiary in Frankfurt, offers options, the Base date for the DAX is 30 December 1987 and it was started from a base value of 1,000. The Xetra technology calculates the index after every 1 second since 1 January 2006, the DAX has two versions, called performance index and price index, depending on whether dividends are counted. A ticker symbol or stock symbol is an abbreviation used to uniquely identify publicly traded shares of a particular stock on a particular stock market. A stock symbol may consist of letters, numbers or a combination of both, ticker symbol refers to the symbols that were printed on the ticker tape of a ticker tape machine. Stock symbols are unique identifiers assigned to each security traded on a particular market, for example, AAPL is for Apple Inc. OODH is for Orion DHC, Inc. and HD is for Home Depot, a stock symbol can consist of letters, numbers, or a combination of both, and is a way to uniquely identify that stock. The symbols were kept as short as possible to reduce the number of characters that had to be printed on the ticker tape, the allocation of symbols and formatting convention is specific to each stock exchange. In the US, for example, stock tickers are typically between 1 and 4 letters and represent the name where possible. In Europe, most exchanges use three-letter codes, for example Dutch consumer goods company Unilever traded on the Amsterdam Euronext exchange has the symbol UNA, while in Asia, numbers are often used as stock tickers to avoid issues for international investors when using non-Latin scripts. For example, the bank HSBCs stock traded on the Hong Kong Stock Exchange has the ticker symbol 0005, symbols sometimes change to reflect mergers. Prior to the 1999 merger with Mobil Oil, Exxon used a spelling of the company XON as its ticker symbol. The symbol of the firm after the merger was XOM, symbols are sometimes reused, in the US the single-letter symbols are particularly sought after as vanity symbols. For example, since Mar 2008 Visa Inc. has used the symbol V that had previously used by Vivendi which had delisted. To fully qualify a stock, both the ticker and the exchange or country of listing needs to be known, on many systems both must be specified to uniquely identify the security. This is often done by appending the location or exchange code to the ticker, although stock tickers identify a security, they are exchange dependent, generally limited to stocks and can change. These limitations have led to the development of other codes in financial markets to identify securities for settlement purposes, the most prevalent of these is the International Securities Identifying Number. Johannes Teyssen is a German businessman, the chairman and chief executive officer of E. ON, the German multinational electric utility company. Teyssen was born in 1959 in Hildesheim, Germany and he went on to study economics and law at the University of Gottingen from where he graduated in 1984. He went on to doctoral studies in Boston, US. 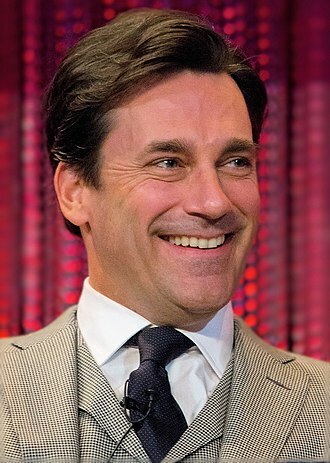 After that he became an assistant at Gottingen University. Teyssen’s first career role was as a law clerk at the State Superior Court in Celle and he stayed in that position until he joined PreussenElektra in Hanover in 1989. In 1991, after finishing his doctorate, he was promoted by PreussenElektra to head of energy, in 1994, he earned another promotion, this time as head of legal affairs after his talent as a litigator was spotted by his superiors. In 1998, Teyssen joined the Hanover-based power company Hastra in his first executive position as member of the board, one year later, he was named chairman of the board of management at Avacon, based in Helmstedt. 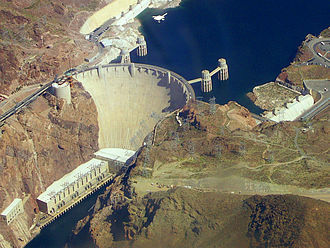 Large dams such as Hoover Dam can provide large amounts of hydroelectric power; it has 2.07 GW capability. Wind turbines usually provide electrical generation in conjunction with other methods of producing power. 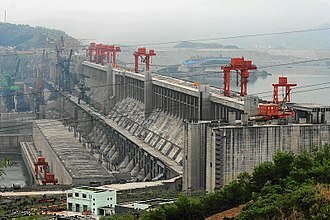 Large dams such as Three Gorges Dam in China can provide large amounts of hydroelectric power; it has a 22.5 GW capability. The Susquehanna Steam Electric Station, a boiling water reactor. The reactors are located inside the rectangular containment buildings towards the front of the cooling towers. The power station produces 63 million kilowatt hours per day. DAX 30 chart at the Frankfurt Stock Exchange. Inside a branch of Metro's Real hypermarket chain in Würzburg. The RWE-owned Niederaussem Power Station. Cypriot politician Androulla Vassiliou was European Commissioner for Education, Culture, Multilingualism and Youth between 2010 and 2014. Clockwise from top left: Christian Dior SE (Chanel Iman modelling in 2009), LVMH Moët Hennessy Louis Vuitton SE (Moët & Chandon Champagne) and Airbus SE (A380 aircraft) are among the most well known societates registered. Mud log in process, a common way to study the rock types when drilling oil wells. Metro station Paral·lel in Barcelona. The PPL Building is the tallest building in Allentown, Pennsylvania. 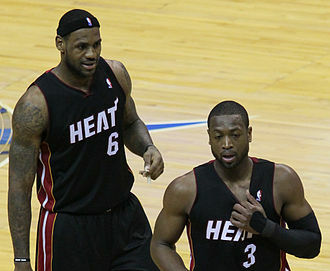 Dwyane Wade with his new teammate, LeBron James. 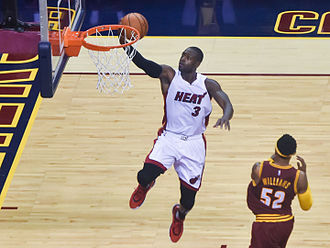 Wade making a lay-up for the Heat in 2015. 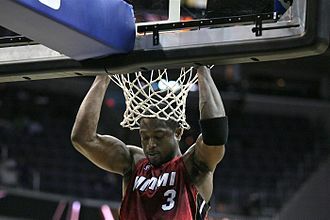 Wade's pre-game ritual consists of doing pull-ups at the rim.